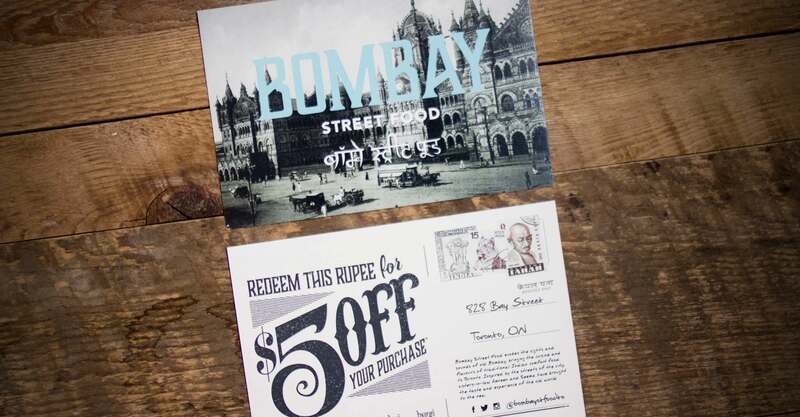 There are only four things that the city of old Bombay and Bay Street in Toronto have in common, and they are three letters and a bustling economy. 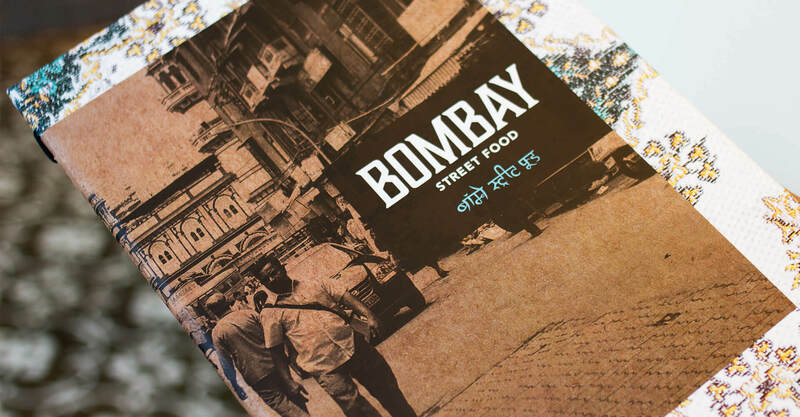 So, capturing the spirit of the street restaurants of Bombay in a refined setting in the heart of old Toronto was a tall order – but that’s exactly what we delivered at Bombay Street Food. 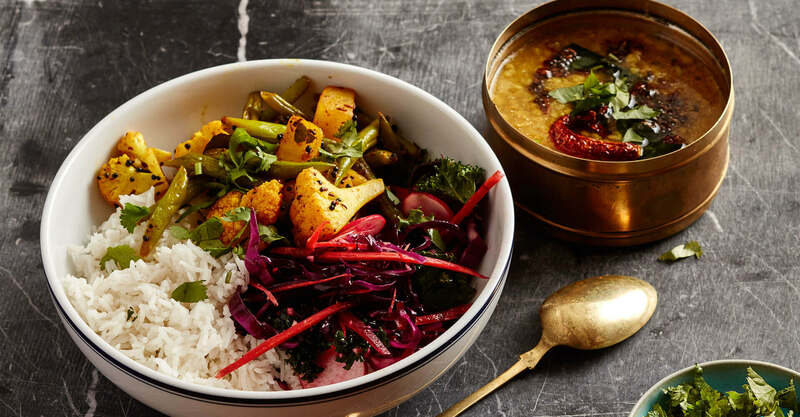 This fast-casual concept is not just the latest Indian food restaurant to hit the 416, but rather is an Indian restaurant inspired by the old Irani and Parsi cafés of the old City of Bombay, in what is now Mumbai, India. 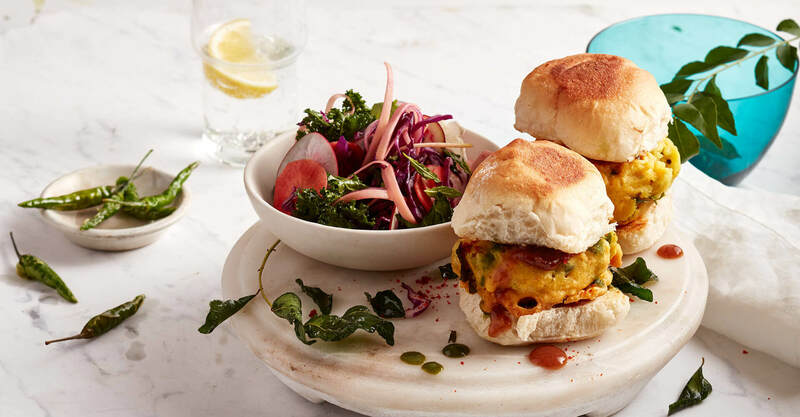 It is said that Mumbai is the city, but Bombay is the emotion: it was left to us to find ways to infuse that spirit into Amreen and Seema Omar’s new restaurant. 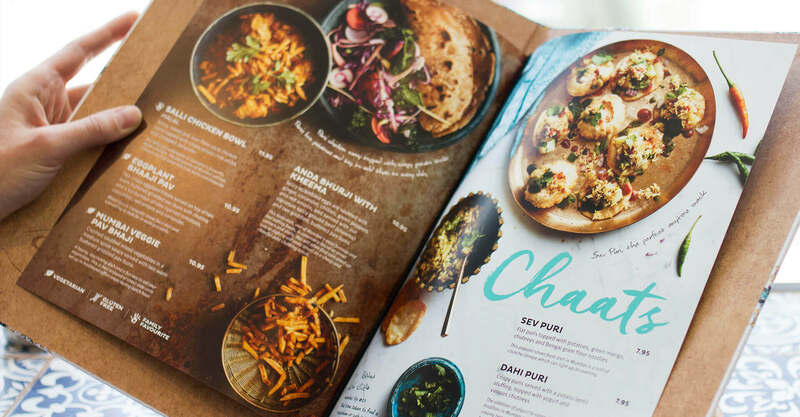 The sisters-in-law share a strong family bond, a passion for food, a love for India, and a desire to share it all with their fellow Torontonians. 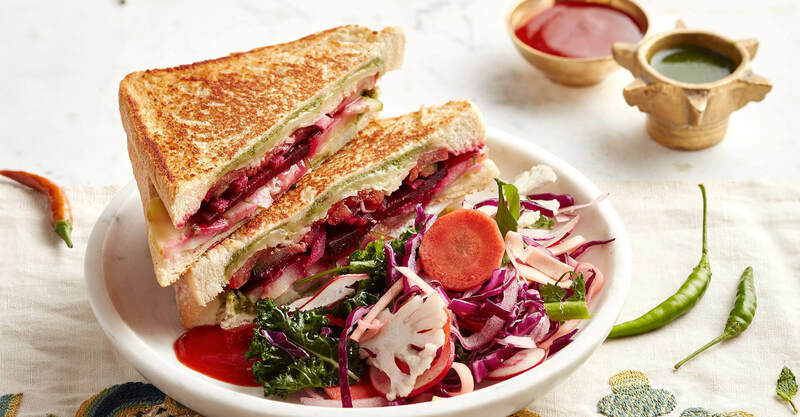 Amreen and Seema began with a stall at the East York farmer’s market, where demand for their hand-made, home-style food quickly began to exceed their ability to produce it. 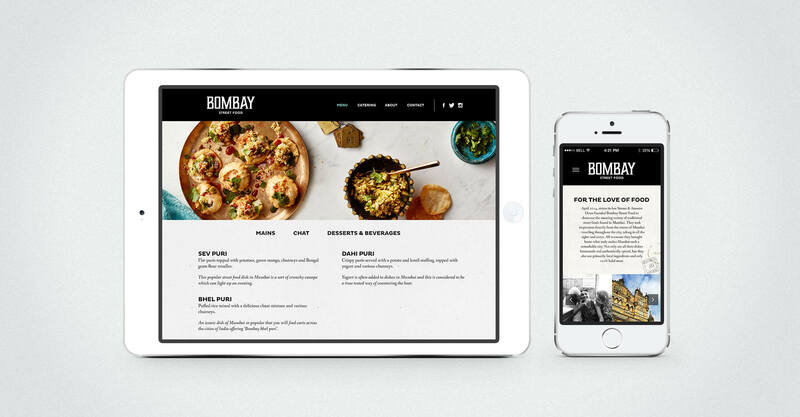 It was then that they began to consider a restaurant of their own, and turned to us to help them with their vision. We travelled with them to Mumbai, and spent several days touring with a local food blogger to get an understanding of the different types of food and the history of the old cafés, so that we could find ways to bring those authentic moments and visceral human connections back to Toronto. The exploration of these old world treasures led us beyond the café walls to the street markets, where we found numerous pieces that became the cornerstone and inspiration behind the restaurant design. A quintessential element in the cafés of old Bombay are the order counters, and we paid particular attention to this feature in our design. 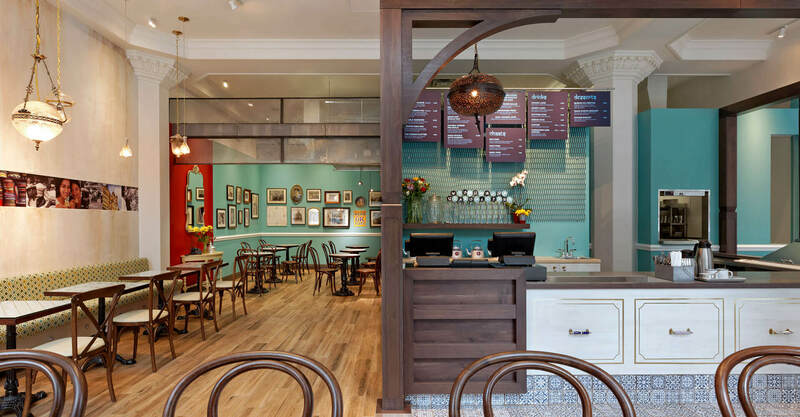 The counter comes complete with zinc countertop, walnut archway, and wood panel at the cash, and the facings simulate old cabinets, with door pulls found in the Chor Bazaar in Mumbai. We also found the hanging light over the cash there, along with other lights and artifacts that lend authenticity to the concept throughout. 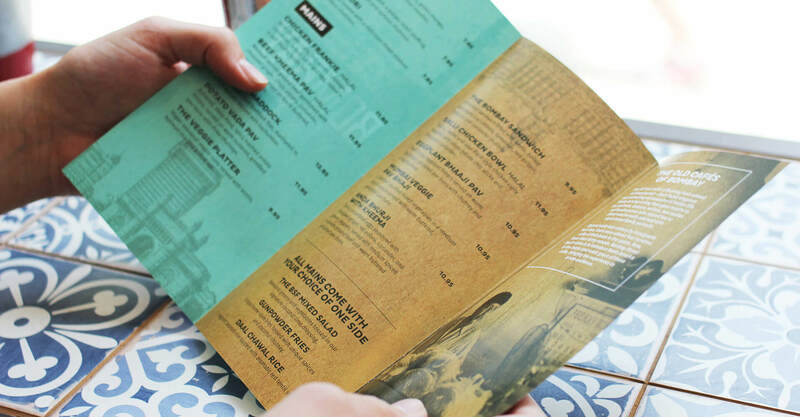 We designed the menu for simplicity, to communicate the offering without drawing attention away from the beauty of the space. 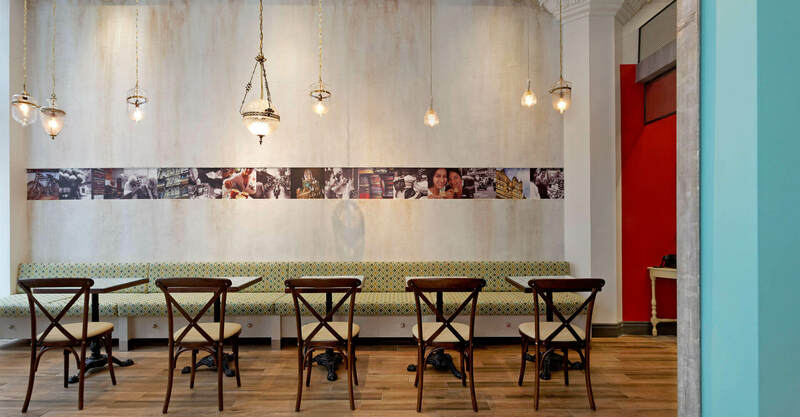 The front of the space capitalizes on the natural light cascading in from the street, illuminating the patterned tile at the entry that is so common in Mumbai, as well as the faux concrete wall behind the dining tables. This wall was finished by a local artist to reflect the building exteriors along the streets of Mumbai, complete with soot and rust marks for authenticity. The strip of photos embedded in the wall modernizes the application, and were taken during our design inspiration trip. 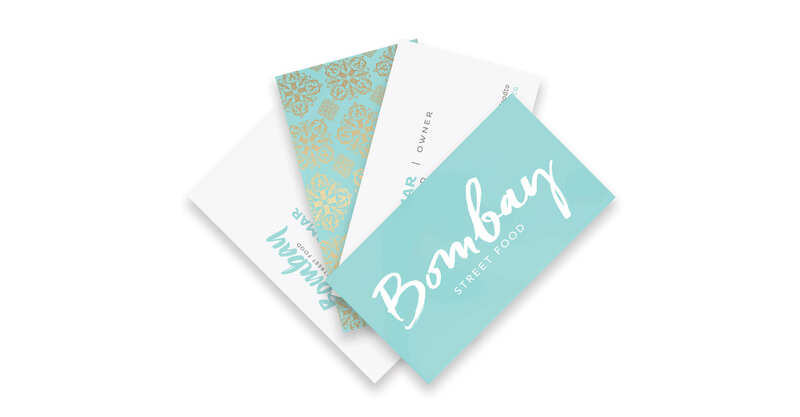 They reflect the owners’ love for the sights, sounds, and tastes of old Bombay, and bring a personal touch to the space. 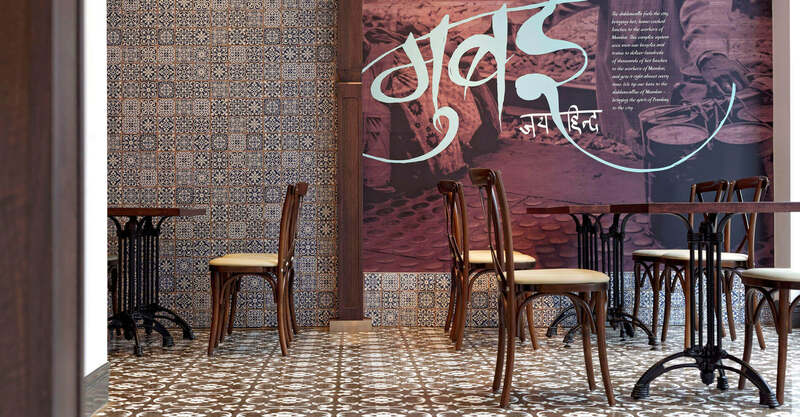 It is customary for the old Irani and Parsi cafés of Mumbai to feature a tearoom, and our concept does not disappoint. In the back of the space is a small room adorned, as they do in Mumbai, with photos stretching back generations – a combination of photos from both of the owners’ own families alongside old city photos purchased in an antique shop in Mumbai. It is yet another way we’ve personalized the space and given Amreen and Seema a way to tell their story. 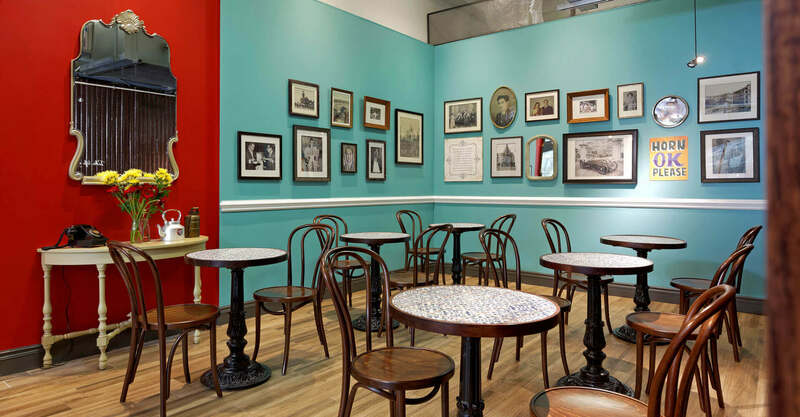 The seafoam walls contrast with the rich red and separate the space visually, while round bistro tables with found and repurposed table bases and bentwood chairs complete the authentic look. 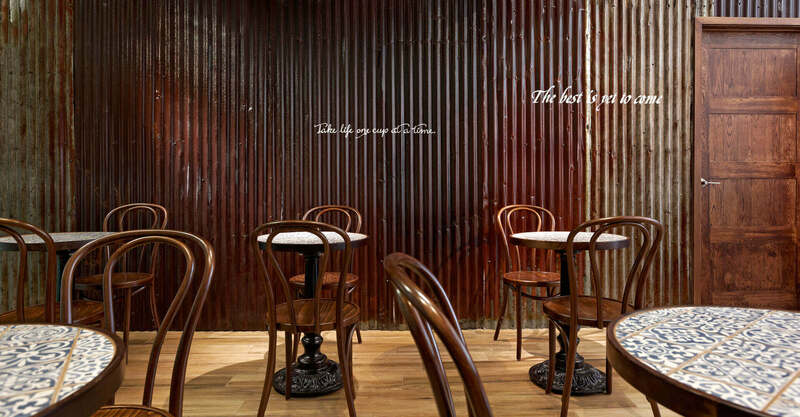 Wall treatments are aplenty, and the intentional mix of styles is reflective of the shops it emulates. Rusted, corrugated metal panels surround an old wood door, reminiscent of Bombay architecture in places like Borhi Mohalla, a Muslim street food centre we visited in the heart of Bombay, that boasts food stalls that have been around for generations. 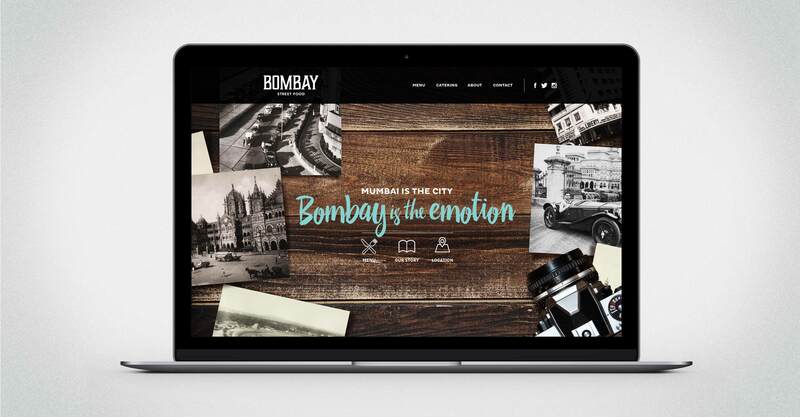 The all-too-common floor tile is featured on another wall, beside an over-sized mural of a Dabbawalla, one of the thousands of men who deliver food all over the city, with his stacks of tiffin boxes. The rallying cry “Jai Hind”, or “Go India”, can be found in Devanagari script on the mural alongside the story of the traditional Dabbawalla in Bombay culture. 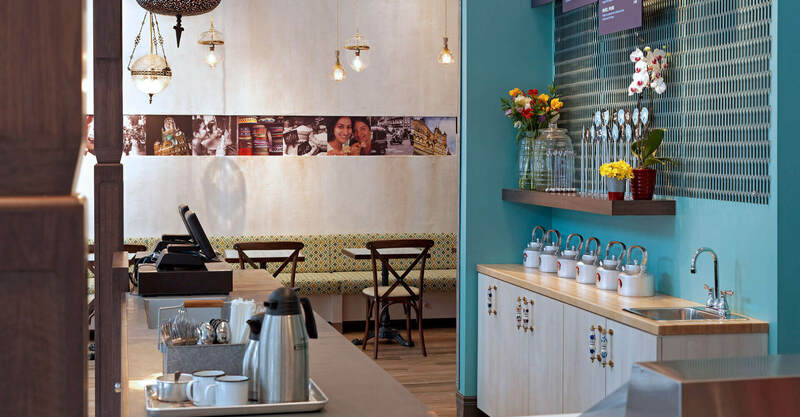 As diverse as the wall treatments are, flooring styles also abound, from the entry tile to wood plank flooring in the tearoom, and a white, stencilled, polished concrete floor adding additional texture, patterning, and personality. 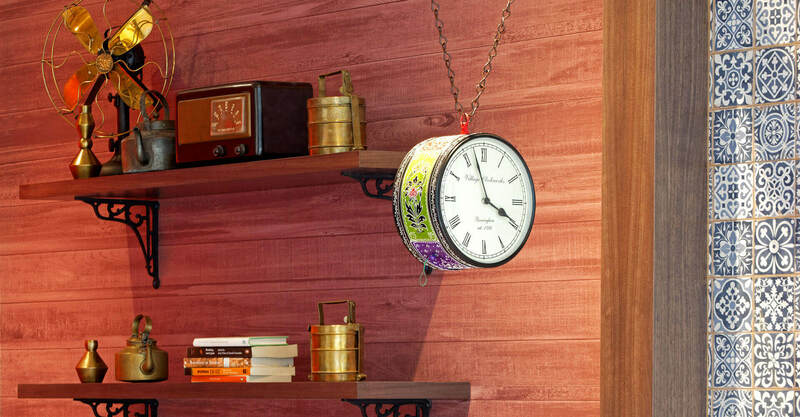 Artifacts brought back from the Chor Bazaar range from functional to simply decorative; tiffin boxes, brass kettles, and teapots find use, while an old dial telephone and period radio hearken back to simpler days in the original Bombay cafés. 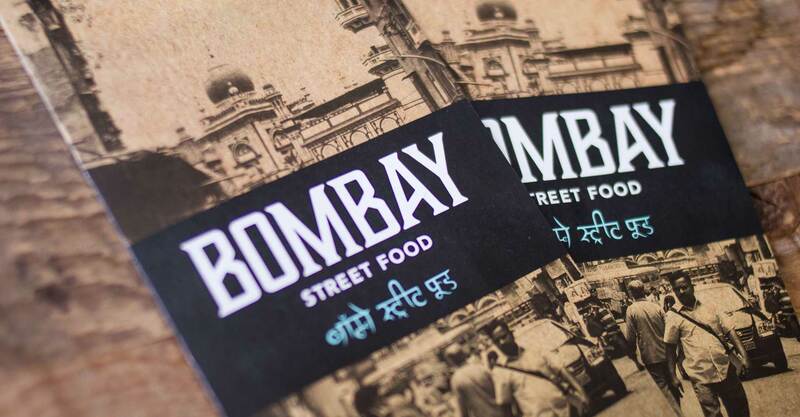 If the old Irani and Parsi cafés symbolize the emotion of the streets of Bombay, Bombay Street Food represents a passion for that spirit, translated and transplanted to a foreign place a world away in both culture, distance and time. And while nothing stops the ticking clock, time does indeed stand still within the walls of this beautiful new restaurant…if only for a moment. 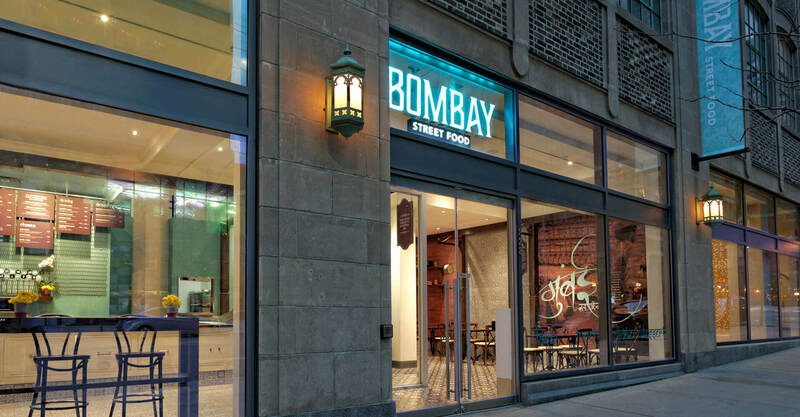 You can find Bombay Street Food at 828 Bay Street, in Old Toronto, or online at http://www.bombaystreetfood.ca.